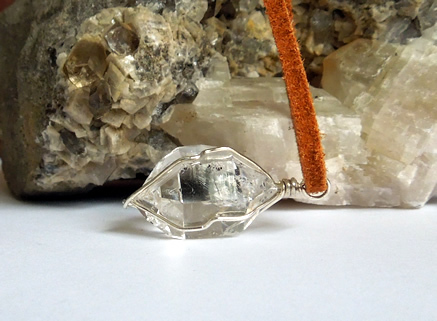 A large, clear Herkimer Diamond crystal pendant with sharp double terminations measuring 28.5x19.5x16 mm / 50 ct. The touch of golden iron oxide seen in the images is not really noticeable in person. It could be removed with Iron Out if you want. 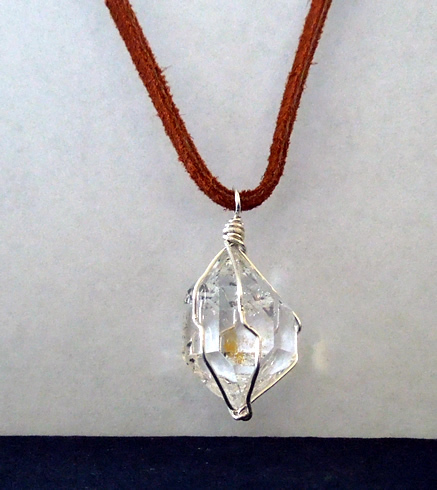 Many of our clients like the golden healer properties the iron oxide adds to the crystal, so we leave it up to you. 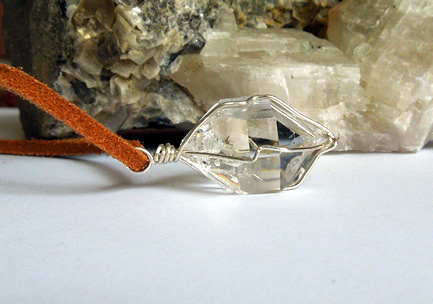 A deep and geometric key on one side adds interest and authenticity to this natural quartz crystal. 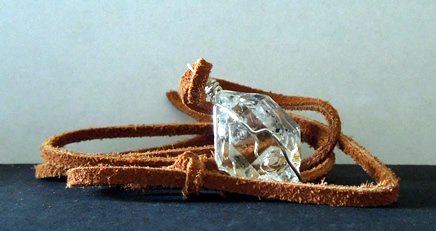 Wrapped securely in sterling silver wire, the large dt crystal hangs from an adjustable brown leather cord. 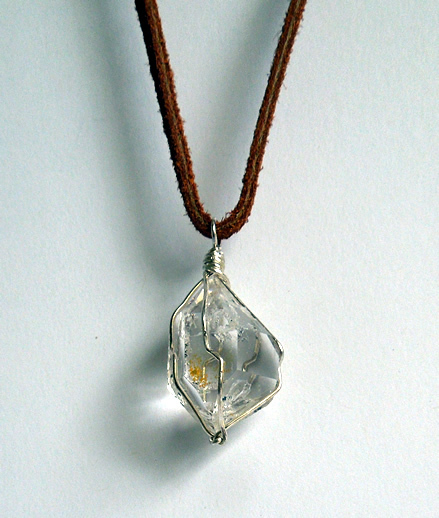 This Herkimer Diamond pendant is a statement piece of jewelry, for a man or woman, even appropriate for ceremonial wear. 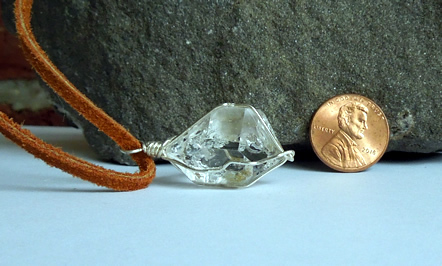 Large clear Herkimer Diamond crystal pendant.